Nothing says that spring is here better than this Springtime Tower of Treats! 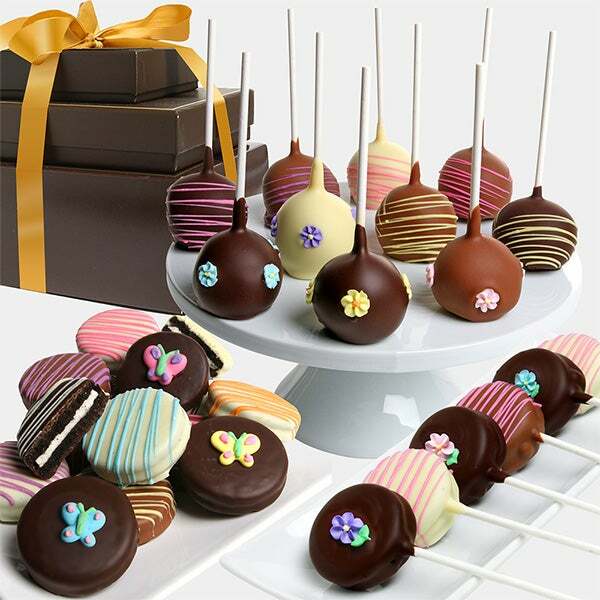 Chocolate-dunked Oreo® cookies, Oreo® Pops, and luscious chocolate covered cake pops make up this perfect collection of springtime treats. We’ve taken the finest gourmet treats and hand-dipped them in our signature Belgian chocolate and decorated them with thoughts of spring, just for you!